I posted last week on the Facebook page about the 100 Foods to Eat Before You Die list and how I was baffled and confounded by Chicken & Waffles. I ate a bug for this blog, and yet I couldn't tick off Chicken & Waffles, because why would I ever order that when there are Biscuits & Gravy? I'd heard of Chicken & Waffles before, but didn't understand the popularity. I like my fried chicken cold, and will even buy Popeyes, put it in the fridge, and eat it the next day. The only fried chicken hype I've ever bought into is Lemp Mansion, which I recommend constantly but haven't eaten in a year and a half. I am also ambivalent about waffles because I own a waffle iron. My diner breakfast of choice 99.5% of the time is a bacon & cheese omelet and biscuits & gravy. But give me a list and I am compelled to check things off. Chicken & Waffles was taunting me, saying, "You could check this off TODAY and then you would have 67/100." 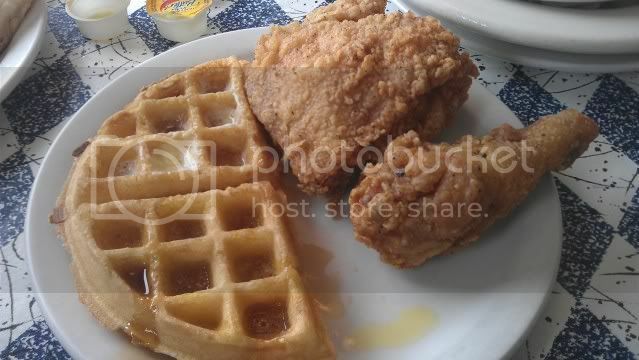 Still, since I knew I was skeptical of the entire concept, I had to have THE BEST Chicken & Waffles in town. 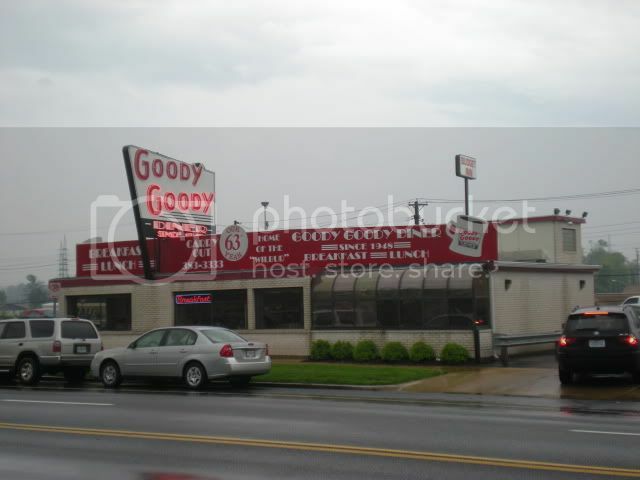 Enter Goody Goody Diner, located at 5900 Natural Bridge Rd. An unscientific estimate of their Yelp reviews show 90% of reviewers mentioned the Chicken & Waffles. Nay, RAVED about the Chicken & Waffles. 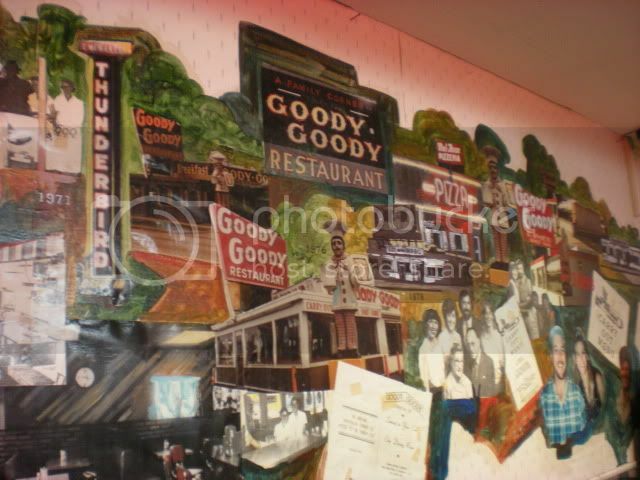 The Goody Goody Diner has been around since 1948, and in the same family for the last 60 years. This was my first visit. Here's what I have to say about Chicken & Waffles: if you are a Chicken & Waffles fan, I bet this will be the best Chicken & Waffles you've ever had. The fried chicken is delicious (even hot) and the waffle was perfectly fluffy. I still don't get the fuss, but I am sold on the Goody Goody Diner. This is an old school neighborhood diner that you don't usually find in a city these days, with great service and patrons visiting between tables. It is definitely worth the wait in line!